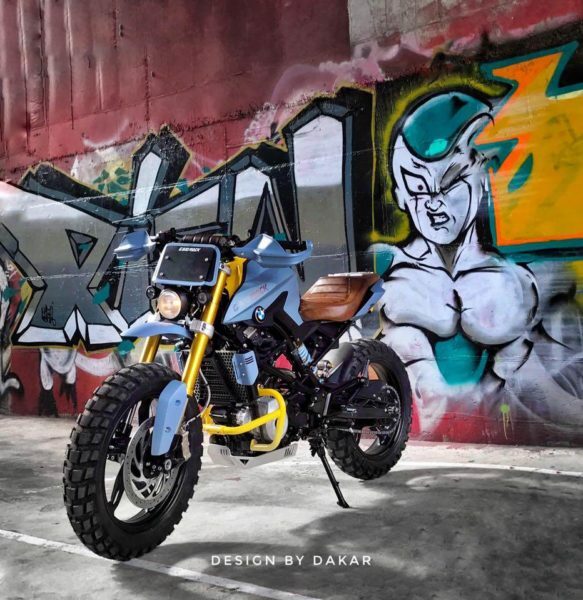 While we’re yet to see the BMW G310 R and the G310 GS roll out of the showrooms in India, motorcycle enthusiasts overseas who already have access to the roadster have started customising their vehicles. 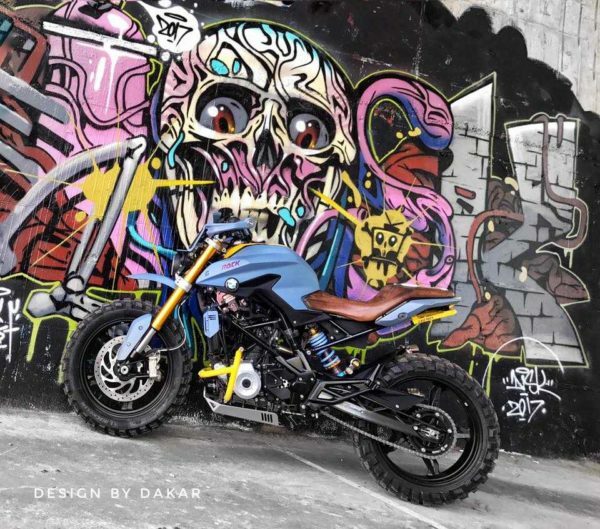 One particular G310 R from DK Design, Taiwan caught our attention and this one is one of the most bonkers motorcycles we’ve ever seen. 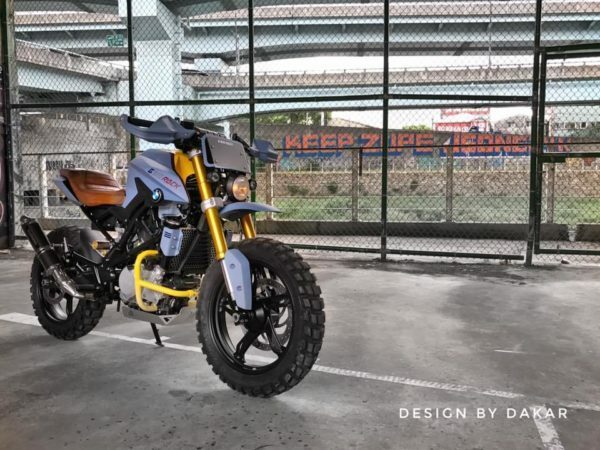 Unlike the standard motorcycle, which is focused for street use, this BMW G310 R, christened G310 Rock, is designed to go off the road. Why not buy the G310 GS instead? This modification took place sometime last year when the baby GS was still not around and thus the owner had to modify the R badged model to be more off-road ready. The G310 Rock gets a completely overhauled fascia with an aftermarket headlight, accompanied by auxiliary lights. The raised front fender, and knobby set of tyres further enhance the off-road persona of the motorcycle. 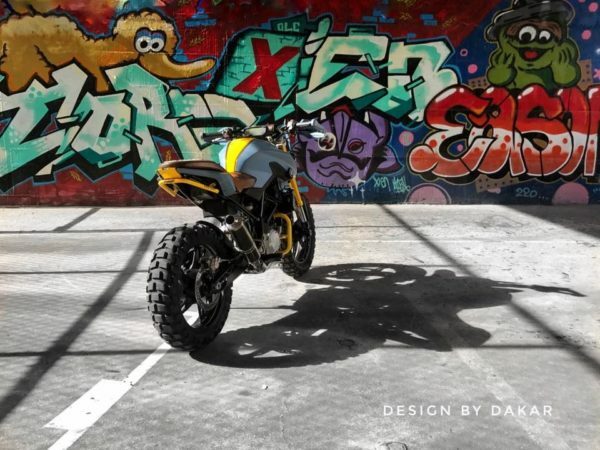 The raised front fender exposes the radiator to many elements which may cause mechanical error and render the liquid-cooler completely useless. Thus, an aftermarket guard has been installed to protect the radiator. A crash guard and a bashplate further enhance the crash protection on the motorcycle. The hardware list has received an upgrade too as the G310 Rock features an aftermarket, Öhlins rear monoshock and a freeflow exhaust. Other features include a custom made seat, redesigned radiator shrouds and knuckle guards. Mechanical specifications are scarce about this particular G310 R but the motorcycle, in factory tune, draws 34 hp of power at 9,500 rpm and 28 Nm of peak torque at 7,500 rpm from its 313 cc water-cooled single-cylinder 4-stroke engine.